Trying to decide which horror novels from the 1980s to read is like trying to make your way around a buffet table that's loaded down with all kinds of food you'd like to eat, but the small plate in your hand sort of makes it impossible to try everything at once. 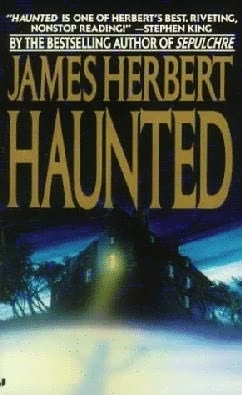 My library is chock full of these little gems, but since 'tis the season, I pulled out two: Haunted, by James Herbert, the old beat up mass market paperback that I've had forever, and The Well, by Jack Cady, which is a newer addition to my library but one I hadn't read. They are as different as night and day but they're both stories that take place in haunted houses, and after all, what's Halloween without being stuck inside of a haunted house or two? Back when I initially read Haunted (which was probably in the 90s), for some reason I thought it was one of the best haunted house stories I'd ever read; now I think that it had its moments, it was fun, but in the end, it's really only the ending that saved this story from being just another ho-hum haunting. Before anyone starts mentally pelting me with rotten tomatoes, consider the fact that eons and a growing taste for more sophisticated haunted house stories now stand between this reading and the first. What I did notice most prominently about it this time around, and what I really enjoy about it is that it's really quite twisted in a hugely-ironic way, and what the author's done here turns his story into something wholly unexpected. "impressive record for exposing phonies and for explaining hauntings or certain psychic phenomena in perfectly rational, materialistic terms." " a thought process, from someone now in another place, or an impression they've left behind." 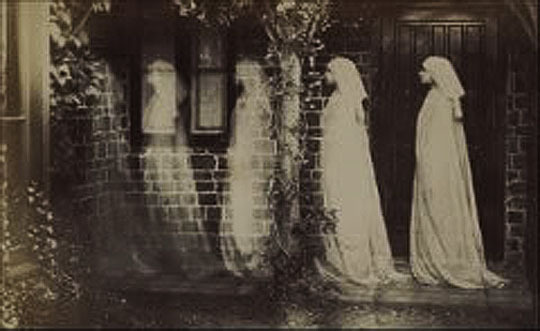 "Apparitions, telepathic visions, electromagnetic images. You might even call them vibrations of the atmosphere,"
What makes this book work for me is the sheer irony of it all which isn't revealed until the very end, and rightly so. In that sense, Herbert's done a fine job here, giving the average haunted-house story a major jolt and upending it to the point that it becomes something very different than the norm. The sad thing is that up to that point, and I'm really sorry major Herbert fans (shields self from flying tomatoes), what happens along the way may have been earth shattering in the 80s but well, kind of old hat by now. That's not saying I didn't like it, but it really is a book that depends on its final few pages for the major shock. 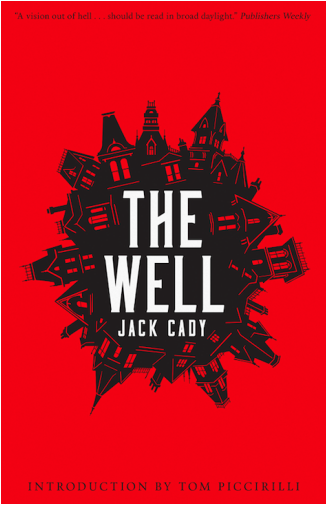 On the other hand, there is nothing at all old hat about The Well, by Jack Cady, which is a book that is so rich in atmosphere that a serious case of the creepies grabbed me from the very beginning. This may just be one of the most original haunted house novels I've ever encountered, and the story, like the house itself, takes several eerie twists and turns along the way as we weave our way through its darkness. "There are Things that do not love the sun. They weep and curse their own creation. Sometimes on earth a cruel shift takes place. Time splits. 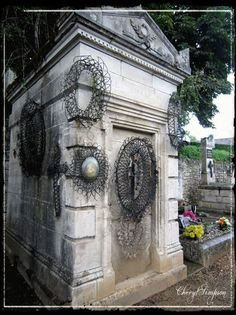 Corpses possessed at the moment of their death rise from tombs. The dark ages of history flow mindless from stagnant wells and lime-dripping cellars. The corpses, those creatures of possession, walk through ancient halls and rooms... "Through endless halls are dusks gathering like the memory of screams. There is a concatenation. Presences drift toward combination. Darkness rises and takes shape behind the sound of footsteps." "more than two hundred and fifty rooms, not counting the towers, not counting the darkened plain of the cellar nor the subcellar, which he considered a a true nether-region,"
"more a trap, a disaster visited on Trackers for over a century. Man after man, and woman after woman, they added their share: predestined, it seemed, to pour into the monster the best of each individual genius." However, what he does regret is that he doesn't know as much as he'd like to about his family. So by page twelve, we already get that this story is not only going to incorporate the house itself but its past inhabitants as well. 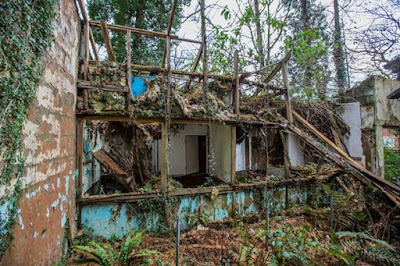 The blending of these two elements moves the story along, as does knowing that the Tracker house was built as a "trap to capture the Devil," a "theme" which had continued since the original builder, worrying for his soul, laid down its foundations. The traps come in various forms, not the least of which are time shifts. Yow. And now, John Tracker has come to see the place for the last time, bringing along his secretary and friend Amy. While they'd planned just a quick visit, they find themselves trapped there during a horrendous storm; and it's during this time that John Tracker realizes that the house just may have a mind of its own. I have to say that there are spots in this book where the writing just grates, but overall, it's one of the creepiest, darkest, haunted house stories I've ever read, certainly on the list of most original. Sheesh! I read this one twice and even in the middle of the second read I was still freaked out enough that I had to put the book down and go do something else. 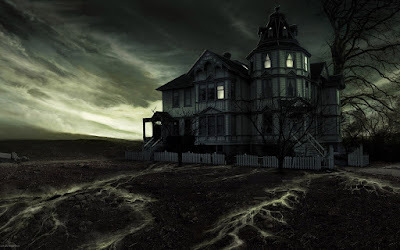 It's not only the horrors that stand out though, since it is also a story about the people who'd lived in the house from its beginnings, so there's also plenty of insight into human nature. I won't say more, but seriously, there's a reason that this house is described as a "well of depravity." This one I wholeheartedly recommend, and of the two books here, it is hands down the winner. "They have made it their business, with considerable taste and integrity, to put back into print a considerable amount of work which has been in serious need of republication. Their list has been compiled by editors who know their stuff, bringing back into the light a raft of books, I, for one, have been waiting years to read! If you ever felt there were gaps in your reading experience or are simply frustrated that you can't find enough good, substantial fiction in the shops or even online, then this is the publisher for you!" 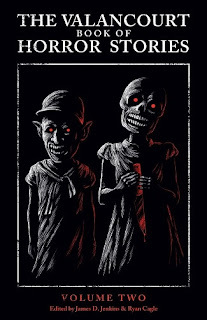 They know I love and appreciate their work, so without further gushing on my part, on with The Valancourt Book of Horror Stories, Volume Two. 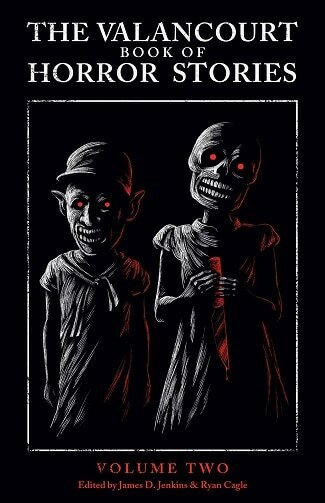 The fourteen stories in this book are some of the most unsettling, disturbing, and chilling tales from yesteryear that I've ever read, and I don't know whether it was done purposefully or not, but it seemed to me that with each story there came an increase in the level of intensity. 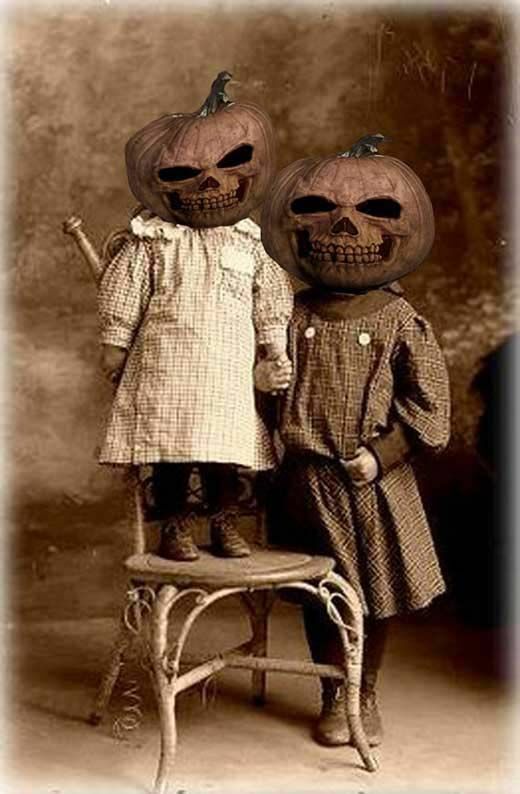 The first story, Bernard Taylor's "Samhain," for example, has quite a bit of the dark-humor vibe, and actually made me laugh, but by the time I reached the end of the last story "The Boys Who Wouldn't Wake Up, " by Stephen Gregory, I was on the edge of tears. I can't really explain it very well, but it feels like the Valancourt guys upped the horror ante with each tale as it appeared in this collection. Normally in a collection such as this one, I would expect even one story that is not so great, but that just isn't the case here. Each and every tale is top notch, so when you put them all together, you end up with a symphony of absolute reading perfection. And while I won't go through each and every one here, there are a few stories that really stood out for me. First, "Herself," by M.E. Braddon, in which a young woman's lovely inherited villa with the name of The Orange Grove seems the perfect place for her to rest and recuperate from her illness, despite the warnings she gets from those in her close circle. While it's not haunted, exactly, it does have a certain reputation... The one that actually made me stop reading for an entire day is Michael McDowell's "Halley's Passing," which is frightening enough as the story progresses, but its true horror doesn't hit you until the last two paragraphs. McDowell is a genius writer as it is, but he gives us something very different here, something completely unexpected. It's one I'm happy I read during the daylight hours, let's just put it that way. My favorite story in this book is Basil Copper's "Camera Obscura." In their brief blurb about the author that prefaces the story, the editors say that it "is perhaps one of the most outright chilling tales in this volume," and I certainly won't disagree with them. A moneylender who has gone to collect what he is owed from a rather eccentric gentleman gets way more than he ever expected in return. When I stopped to think about the implications of this story it became so disturbing that I had to put the book down once again. 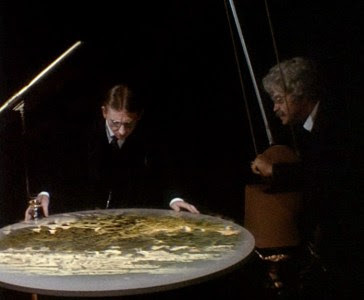 This is one of Copper's earliest stories, first appearing in the Sixth Pan Book of Horror Stories, and it was adapted for television as a 1971 episode of Night Gallery. "The Boys Who Wouldn't Wake Up," by Stephen Gregory is simultaneously eerie and poignant, a beautifully-written tale of a young boy who is left only with his school's headmaster for company during the Christmas holidays. As I said earlier, this one had me on the edge of tears, and it is hands down the most haunting story in this book, in the truest sense of the word. It's not all that often that I truly fall in love with a book, but I certainly did here. Valancourt just keeps getting better year after year, and as I said to the guys in my goodreads post, they have completely outdone themselves with this one. Bravo, Jay and Ryan -- this is the most stunning collection you have ever published. my copy from the author, to whom I say a huge thank you!!! 1. While reading his books, the real world just dissolves so that there's absolutely nothing between me and what's happening in what I'm reading at the time. I think I mentioned some time ago that while reading his No One Gets Out Alive I was so into that story that a mundane thing like the phone ringing made me jump completely out of my skin; I honestly believe that it's his ability to not only transport me so completely into the world inhabited by his characters but to keep me there for so long that makes up part of his horror-writing genius. 2. Another part of the equation is that he is so very good at transforming inner anxieties into the most horrific and threatening situations. 3. Nevill is a master of atmosphere who can turn an ordinary sense of dread into a feeling of downright stomach-churning horror where you just know that something terrible is coming, but by then it's too late, and you're locked in for the duration. On the other side of that coin is his ability to sustain that dread (and continuously ratchet up the gut-twisting tension) throughout an entire novel, a feat that is extremely rare nowadays. 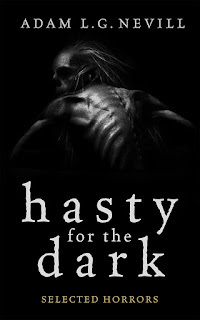 Now in Hasty for the Dark, he's upped his game, combining all three of these elements that make him a great modern horror writer with his own form of "tribute" to various writers, who, as he says, have inspired his own writing. The result is one hell of a collection of nightmares that I'm glad I read in the daytime, since had I read it at night I probably wouldn't have slept. After a debate in my head as to whether or not I should give a brief preview of what's in this book, I decided to do my normal no-spoiler annotations on these stories, so if you want to leave without knowing anything at all, now is the time. 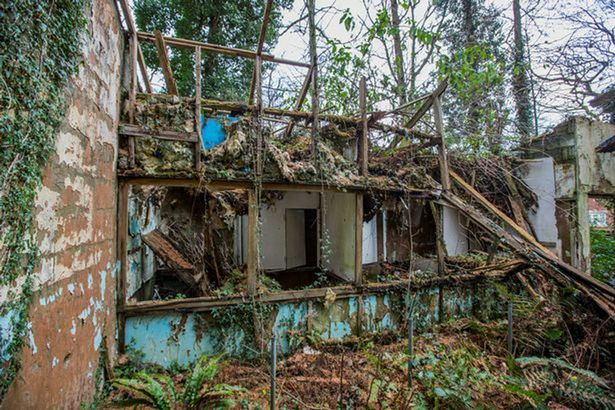 "a caged ape, a primate dressed in a cheap suit, one abandoned in a narrow and littered cement enclosure, forever bereft of visitors..."
he meets a woman at work, asks her on a date, and she decides they should meet an old, abandoned zoo. While I was reading this one I wrote down "Aickmanish," so you can imagine my joy when reading at the end of the book that the author had written this story "in homage to Robert Aickman." Seriously one of the best stories here, especially because of the introduction of the Sisters of the White Cross. 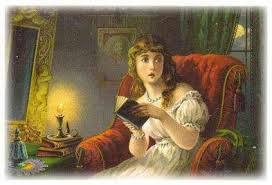 "the reader a form of found footage: footage of a place where something terrible has happened." He's not joking when he uses the word "terrible," so consider yourself warned. After the horror of that one, it was time to move on to a story that takes on highly-recognizable Lovecraftian tones in a mix of horror and science fiction, "Call the Name." The unease is not just due to the horrific future envisioned here, but also because reality just may be somewhat skewed in this case. Next up is one that reminded me of the work of Thomas Ligotti, but which is actually an homage to the work of Mark Samuels, "White Light, White Heat." Shame on me -- I've had his The White Hands and Other Weird Tales on my Kindle for over a year now and still haven't read it. 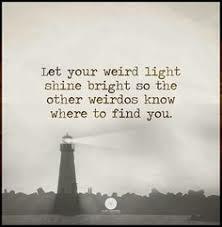 Memo to self. This story takes place in a publishing house, where the workers live in fear of the dreaded "white envelope." As the author notes, anyone who's been an employee at a large company will completely understand where he's coming from here, but just to whet your appetite, his main character says at one point that "Sadists and sociopaths had completely enslaved us and removed any chance of inner or spiritual life." Now imagine that idea with a Nevill touch and you've got an incredible story here. Last but by no means least is his homage to Ramsey Campbell, "Little Black Lamb," which also ties to an earlier story in this book -- I'll leave it to you to figure out how. A man is bombarded with memories which "repeated like radio commercials" but yet can't actually recall anything of the kind actually happening to him, and when he mentions it to his wife, her response is "That is so strange...Me too." What follows is absolutely bizarre, moving quickly and deeply into the realm of horror before getting even worse. By the time I'd finished the last story in this book, I was simultaneously a) relieved that I could breathe again and b) sad that it was all over. As I will remind people once again, I'm not a reviewer at all, just a plain-old reader person, so I'll let the real reviewers discuss prose, style, and all that jazz. 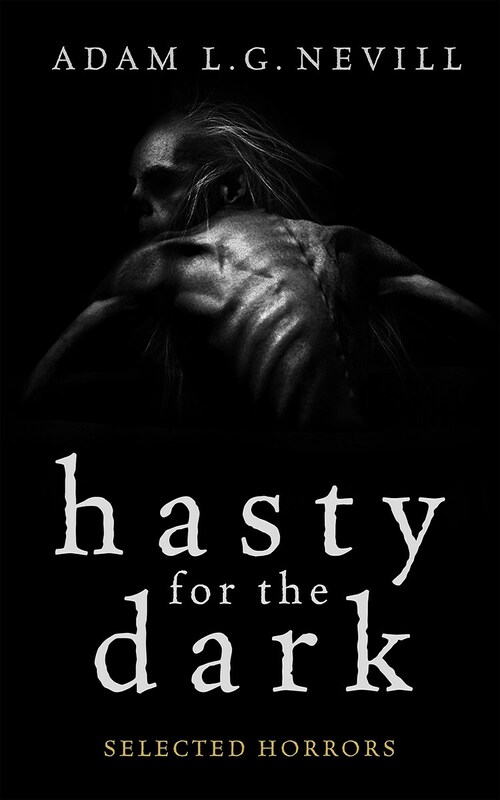 I'll just say that Hasty for the Dark is the creepiest, best book of modern horror fiction that I've read all year, and you need to trust me here since I am an extremely picky reader in this genre and I do not give out superlatives lightly. How he will top this one I have no clue -- it's that good. I'm very grateful to Adam Nevill for my copy of this book which I would have bought anyway, but thank you all the same. Before October rolled around, I had hoped that one of my online groups would choose Somerset Maugham's The Magician as its group read choice, but alas, it was not to be, so I read it anyway. 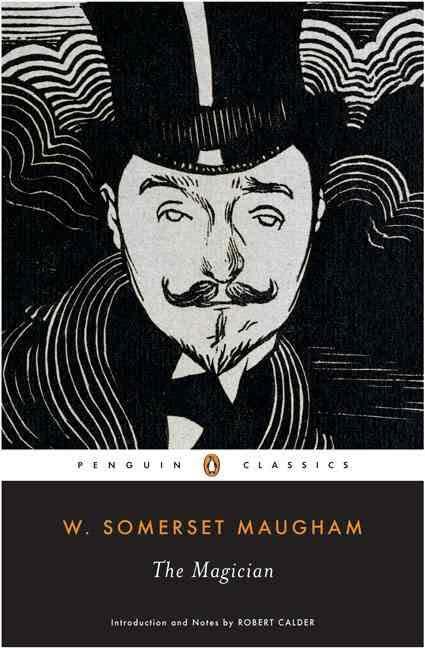 After finishing it, I read the intro and discovered that Maugham had said that the book "wouldn't have been written"
The reference to Huysmans was to his Là-Bas, but Robert Calder also notes in the introduction that there were other works with which Maugham would have been familiar, including George du Maurier's Trilby. So geek person that I am, I decided to read not only The Magician, but Là-Bas and Trilby as well. I will be writing on Huysmans' book a bit later, probably after October, so right now it's all about Maugham and Du Maurier. The Magician, of course, was my favorite of the two, but they're both fun. 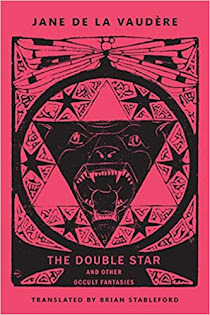 I'm not going to go into that whole Aleister-Crowley-as-model-for-Oliver-Haddo thing -- that's so well known that just mentioning this book will bring up that conversation quickly (which has happened more than once since I read it), nor am I going to get as deep as I could here due to time constraints. The Magician is certainly worthy of being counted as Halloween reading material; it has so many of those elements that send my little heart racing, among them pulpy mysterious melodrama, a bit of decadence, and of course the dark forces of the occult and the supernatural. Recently arrived in Paris, Dr. Arthur Burdon has come to see his fiancée, Margaret Dauncey. While at a dinner party at the Chien Noir, the couple and their group run into Oliver Haddo, who had the "look of a very wicked sensual priest." Margaret took an instant, "uncontrollable dislike" to the man, but he seems to be part of the crowd where ever they go, and Margaret's friend Susie Boyd finds it "a privilege" to encounter "a man in the twentieth century who honestly believes in the occult." Arthur, the ever-rational "scientific man" is an unbeliever, and Margaret's guardian, Dr. Porhoët can't tell if Haddo is "an impostor or a madman." Nonetheless, Haddo is invited to tea at Miss Dauncey's flat for the following Wednesday. It is there that an event occurs that leads to Burdon physically attacking Haddo, and although Haddo makes no move to defend himself and actually apologizes, the small group of friends will discover that he has clearly not forgotten the perceived wrong to his person. The incident sparks a most sinister, evil, two-fold plan of revenge, in which Margaret stands at the center. I was hooked from the beginning, and later, as I realized where Maugham was taking this tale, it got even more interesting since it wasn't at all what I expected when I started it. Actually, I spent much of the time wondering like Dr.Porhoët whether or not Haddo was a true magician or just a fast-talking fake, and I think this ambiguity worked well all through the novel. By the time I reached the ending, well, let's just say that pages were being turned very quickly. There's much more going on here that I won't get into because of time, but pay close attention not only to the relationship between Margaret and Haddo as he focuses his hypnotic powers on her, but also to Margaret herself in relation to Burdon. And do see the old silent film (1926) if you can find a copy (I got mine on Amazon) -- while there are definitely some scenes played for laughs here in between the main action, and while the script deviates from the novel quite a bit, it's still well worth watching. 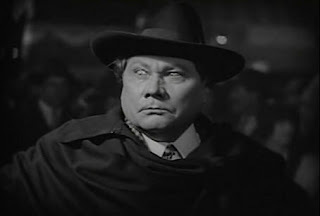 Paul Wegener (who would later play the title role in the original Svengali movie in 1927) makes a very creepy Haddo who sent chills up my spine just looking at him. 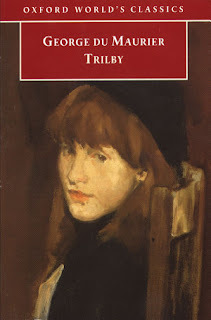 On to George du Maurier's novel Trilby now. While his character Svengali may not have had an interest in alchemy or the occult like Maugham's Oliver Haddo, it's easy to see how Du Maurier's portrayal of this character may have influenced Maugham in the writing of his own villain. To be honest, The Magician is definitely the better of the two books, but Trilby is also quite good in its own way. "I will tell you a secret. There were two Trilbys." "The image of a sinister hypnotist, lurking behind the scenes, ambiguously responsible for breaking and remaking another weaker character..." (Daniel Pick, Svengali's Web, 1). "shall see nothing, hear nothing, thing of nothing but Svengali, Svengali, Svengali!" While Billee wants to marry young Trilby, his mother steps in to do what she can to prevent the marriage from happening. Trilby, thinking of Little Billee's future, does the noble thing and disappears from his life, only to resurface later. It does take a bit of needle threading (and often a great deal of patience) to find ourselves back to the story of Trilby and Svengali, because around it, Du Maurier has placed us in the milieu of the Bohemian artists of the Latin Quarter of Paris, and he spends a lot of time giving us his own version, a "mixing of reality and fantasy" (xii) based on his own experiences. Then, when the story moves to London, we are made privy to the world of the British upper classes, where Little Billee is now William Bagot, successful artist. While you may wonder what's going on with Trilby all this time, well, eventually we do get back there. My Oxford World Classics edition features Du Maurier's wonderful illustrations that I spent quite a lot of time looking at; there is so much going on in this novel underneath its surface, and Trilby is one of those books that has sparked quite a bit of academic interest in several fields. Do as I did -- relax and take it slowly. The 1954 film Svengali skips pretty much everything else in Du Maurier's novel to focus on the story of Trilby, Little Billee and Svengali, making it more of a sort of love triangle kind of thing. The tagline for this one is great: "She was a slave to his will," although it does take a while for the movie to get to that point. I didn't like Hildegarde Neff's Trilby; I found her rather flat compared to Trilby of the novel, but hey -- it wasn't exactly a waste of time to watch the film. I can recommend both novels, although The Magician, as I said, is much better; it's also way easier to read as compared to the more sloggy sections of Trilby. 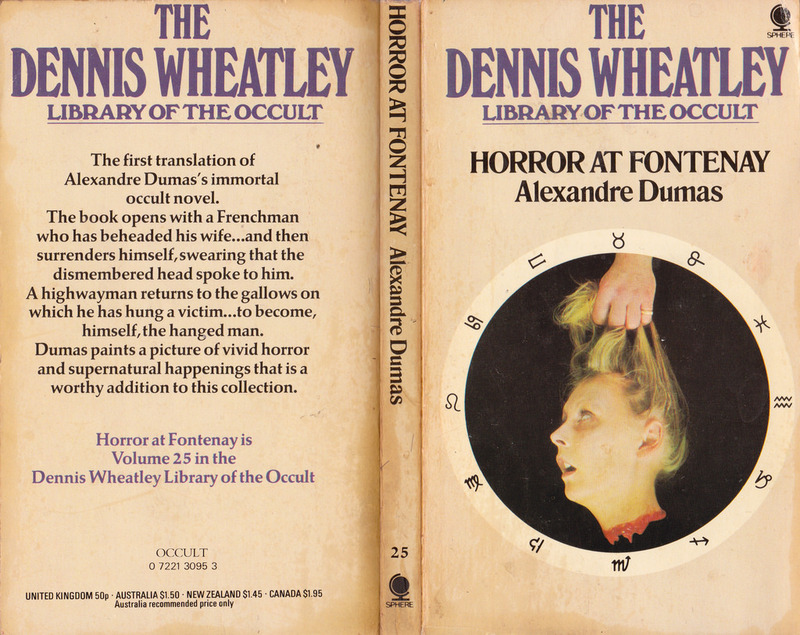 I actually killed two birds with one stone reading this book, since I discovered that it's the same book as The Horror at Fontenay, which I bought because it appeared in Wheatly's Library of the Occult. The cover of Fontenay is a bit more reflective of what goes on inside this book than that of the Hesperus edition, although to be sure, not everyone in it ends up minus a head. Departing from his host's hunting party, the narrator of this book takes it upon himself to "beat a retreat," setting out on a path that would take him to the village of Fontenay-aux-Roses. As he's strolling along, he can't help but notice a man with a "fixed and lifeless" stare, "clothes in disarray and his hands spattered with blood." Our narrator is intrigued enough to follow him as he presents himself at the home of the mayor, Monsieur Ledru, proclaiming that he's just killed his wife and he wants to give himself up. The mayor, the police superintendent, and the doctor insist he return with them to the scene of the crime, but the man is beyond reluctant -- it seems that after he'd killed his wife by chopping off her head, not only did the head speak to him, but it also proceeded to bite his hand. Later that day, a small party gathers at the home of M. Ledru, where the events of the day are still on everyone's mind. A discussion begins around the question of whether or not a severed head continues to have "consciousness of feeling," moving on to "the persistence of life" after death. 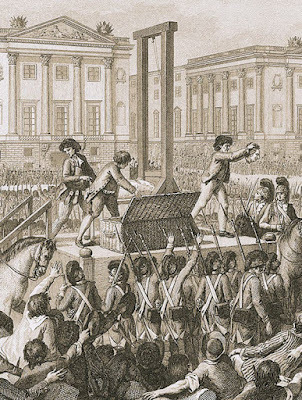 Ledru reveals that earlier in his life, he'd become "obsessed" with the belief that the severed heads of the aristocrats who'd met their fate at the hands of the executioner were in fact, still alive, and proceeds to tell his guests about his own experience, launching into the story of "Solange." I'd just read "Solange" in The Dedalus Book of French Horror, but I had no idea that it originally came from this book. Shame on me for not having done my usual homework. So now, I'm really intrigued, thinking that if this collection starts with that story, then I'm in for a really good time here. I was not disappointed. "We live between two invisible worlds, one of them inhabited by the spirits of hell, the other by the spirits of heaven." Up next is "The Bracelet of Hair," but mum's the word on this one; finally we have the story that for me was the proverbial jewel in the crown here, "The Carpathian Mountains." Long before Stoker brought his Dracula into the world, Dumas gave us this story which has much more of an old-world flavor, a tale of two brothers vying for the attentions of a young woman, in as Wheatly says in his introduction to The Horror at Fontenay, "a castle deep in the forests of Central Europe." This one is so atmospheric that every time their mother said "Kostaki loves Hedwige," I felt a shiver go up my spine -- with good reason. While I can't really divulge much about the contents in this book, I will say that stories here speak to translator Andrew Brown's question of whether the dead are "really dead." They all examine to some degree the idea of consciousness continuing to live on after death, continuing the debate which began back in the 1790s when death by guillotine was in its heyday. There's much, much more going on here, of course, and I could talk about this book for hours -- that's how good it is. One Thousand and One Ghosts really is the perfect stormy-night read, and to those readers who disliked it because it wasn't "swashbuckling" or anything like The Count of Monte Cristo, well, it obviously wasn't meant to be. "It might have been sort of freaky for the time it was written, but with mass media we are so inundated with macabre stories, this book almost seems like a bedtime story by comparison..."
which I think is a truly sad commentary on older supernatural fiction in general. 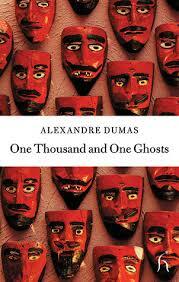 Don't be fooled -- Dumas has written something great here. "...he is as cruel and as remorseless as Satan himself." Some time ago I read Richard Marsh's The Beetle, which I loved and at the time designated as the literary equivalent of comfort food. Pharos is another I'd put in that category. It also reminds me of some of the movies I'd watch as a kid -- on Saturdays I'd turn on the TV, stretch out on the sofa and watch a show called Creature Feature that ran old horror movies.Woe be to he who interrupted those few hours back then, and woe be to he who interrupts my pulpy reading time now. Actually, I think my horror-fiction reading career began back then, and it all started with this sort of delicious pulpy goodness. It's not by chance that I mention Marsh's The Beetle here, because there is quite a bit of similarity between the two books. While the stories are different, read closely, both Pharos and Marsh's novel reflect the same sort of anxieties centering around the perceived threats to western (read British) civilization and values by an outside/alien/Other. In both books, that threat stems from Egypt, which is not surprising given the context of British imperialism at the time (it's very complicated, and I won't go into it here, but feel free to explore the web if you really want to understand what lies beneath a LOT of late Victorian pulp/horror fiction, including Bram Stoker's Dracula.) The similarities between The Beetle and Pharos don't end there, though -- both are tales of revenge and retribution, but here Boothby gives us a worst-case scenario. It's a page turner, to be sure -- not the best of literature, but who cares? Sir William Betford of Bampton Street, St. Mary, Dorsetshire receives a strange letter from his friend artist Cyril Forrester. It is, as he says, "one of the saddest, and at the same time one of the most inexplicable cases ever yet recorded on paper." Along with the letter is a manuscript which Forrester wants Betford and his friend George Trevelyan to have published, and it is the contents of this manuscript which make up the story of Pharos. This was his first encounter with the person he would later come to know as Pharos the Egyptian. They would meet again many times, and Forrester makes the acquaintance of his young ward Valerie, a gifted musician and one of the most beautiful women Forrester has ever encountered. 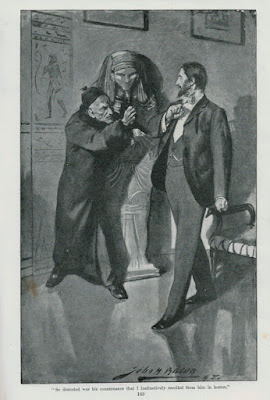 After a musical evening in which Valerie gives a recital at the home of one of Forrester's acquaintances, Pharos appears at Forrester's home offering to buy a certain mummy that Forrester had inherited from his father. The mummy, that of the magician Ptahmes, was one of Forrester's most prized possessions, and he refuses to sell. Pharos is not happy, and the next morning, Forrester awakes to find that the mummy has been stolen. Worse yet, the police are at his door asking him questions about a murdered antiquities dealer. 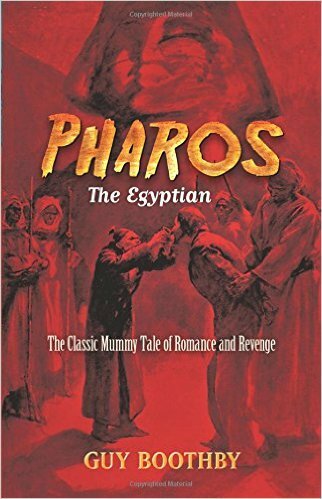 When he tries to get to Pharos, he discovers he's left England for Naples along with Valerie, and thus begins a tale that will find this odd trio making their way through Egypt and then back to the continent, as a truly diabolical, evil, and nefarious plan is set into motion. The Dover edition I have contains the illustrations by John H. Bacon, which are exquisite; the book itself is hours of just pure, pulpy horror fun. As I said, it's not great literature -- in fact, there are some internal eyeroll causing moments, but as far as I'm concerned, it's one that really ought to be in the collection of both horror and pulp aficionados. Pharos is one of the most evil,vile, inhuman, conscienceless villains to make his way into a book; he is someone who will stop at nothing to ensure the success of his horrific plan. He is "as cruel and as remorseless as Satan himself," and god help anyone in his path. While the mummy aspect won't remind anyone of Karloff here, the book is well worth reading and above all fun, delicious pulpy goodness. It is also a bona fide page turner that I couldn't put down, and a sheer aahhhh read that should not be missed. "...when the devil mixes himself up with our affairs, he is not easily shaken off." The first of the Halloween reads. So if you're looking for the standard horror fare, that's not what you're going to get here. 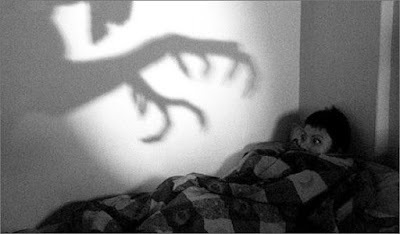 That doesn't mean these stories aren't frightening, because they are, but in very different ways than one might expect. In some cases, all that's required is a bit of thought before the true, underlying horror actually hits you. Now to the book, and while there will be no spoilers whatsoever, anyone who doesn't want even the briefest of descriptions ought to go read something else at this point. Hale notes that "the first clearly recognisable development in the history of the French horror story" dates back to the 1820s, and this volume opens with six tales from the "école frénétique" a termed coined by Charles Nodier in 1821. For me there are three standouts in this section: "A True Account of of the Travels of Claude Belissan, Clerk to the Public Prosecutor" by Eugène Sue, "Solange," by Alexandre Dumas, and Xavier Forneret's "One Eye Between Two." Sue's tale follows the exploits of a disgruntled man who feels the need to chuck civilization, return to his natural state, and raise himself to a "state of savagery." This one is really good, with a great satirical and ironic ending that I never expected. Dumas' entry occurs during the Reign of Terror, where "they guillotined thirty or forty persons a day," and is related by a loyal citizen who does what he can to protect the woman he knows only as Solange. This one takes a weird, weird turn at the end when things go horribly awry. Forneret's very weird story is a tale of love, vengeance and revenge that takes place in Spain, with one of the most bizarre endings ever. Yikes. The other tales here are Frédéric Soulié's tale of revenge, "The Lamp of Saint Juste;" "Monsieur d'Argentière, Public Prosecutor," where the sting comes at the end, and "The Covetous Clerk" by Alphonse Royer that has a delicious, ironic twist to look forward to. "A sudden ray of sunshine bursting through a stained-glass window brought the face of the devil to life; and it would have been easy to believe that Christ's tempter paid the baroness the compliment of a smile." In this story, enough said. This section opens with "Dorci, or the Vagaries of Chance," written by The Marquis de Sade. Very tame considering it's deSade, it is the tale of two brothers who couldn't be more different; for one of them "kindness will get the better of him." Charles Beaudelaire is up next with his "Mademoiselle Scalpel" which finds a man in the hands of a woman with a grotesque fantasy. "The Astonishing Moutonnet Couple" by Villiers de l'Isle-Adam follows, in which we learn the secrets of happiness for couple who were "a model of conjugal existence." It's not at all what you'd think -- ick. The next five stories all share a keen sense of irony as well, falling under the heading of black humor. 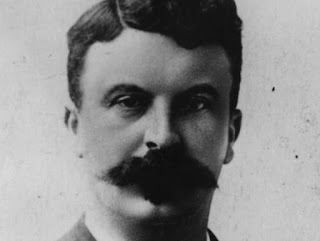 Jean Richepin's "Constant Guignard" is a twisty tale in which a Good Samaritan suffers through an early life of "unfortunate events" and then things just get worse, followed by a similar sort of story by Charles Cros called "The Hanged Man." Jules Lermina gives us his "Monsieur Mathias" about which I can say absolutely nothing, while Leon Bloy's "A Burnt Offering" should leave you cringing and squirming by the time you reach the end. Then, the story I giggled my way through, Huysmans' "A Family Treat" which is pure Huysmans. I know that remark says basically nothing, but if you've read his work, you'll get it. Satire at its finest. To round out this anthology, we finish the book with the "Contes fantastiques." According to Hale, it was E.T.A. Hoffman who was the "literary lion" here, introducing a "range of themes, ideas and narrative techniques" which "served to renew" the contes fantastique, which would continue to "remain in vogue" over the next seven decades. (31) Frankly, the stories in this section aren't quite up to par with the ones preceding them, but there are still some really good ones to be found here. Hands down the weirdest tale in this section is Guy de Maupassant's "Head of Hair," followed by Henri Rivière's "The Reincarnation of Doctor Roger." Maupassant's story is not only disturbing, it's completely unsettling as we watch a man whose "madness, his obsession, was there in his head, relentlessly devouring him." The subject of this tale led a relatively "quiet existence" until he was thirty two, when his life changed in an instant with the purchase made in an antique shop. But wait until you get to the ending. Rivière's contribution here centers around a man who feels that he must right a wrong from his past, but of course, it's not that simple. This one can go one of two ways, and that's up to the reader. As for the rest of the tales, we open with "Jacques Cazotte's Prophecy," as reported by La Harpe, in which Cazotte reveals not only that he is "able to foretell the future" but then goes about telling everyone their respective fates. It's okay, not earth-shattering. Charles Nodier's "The Story of Hélène Gillet" takes the reader back in time to the seventeenth century where a young woman is to be executed for a crime she may or may not have committed. The subtext is very loud here so it sort of lessens the impact of the supernatural aspect. de Nerval makes an appearance with "The Green Monster" which really isn't one of his best, but still worth reading. It all starts with a police sergeant's desire to win the girl of his dreams, which he does, but to the very strange detriment of both. The next story is from the pens of the duo Erckmann-Chatrian, "The Invisible Eye," in which suicides lead a man to discover the truth of what actually happens in a certain green chamber of a particular inn. This one's just plain fun. "Mademoiselle Dafné" by Théophile Gautier follows, very gothic in tone, complete with secret underground passages and nefarious plots. There's much more to this story, though, and it's always a pleasure to read Gautier because his writing is magnificent and he has quite a bit to say. 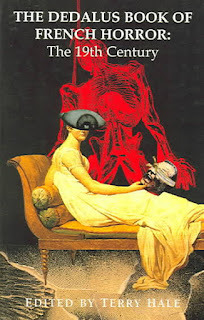 Last but not least is Jean Lorrain's "One Possessed" which I think might have been an earlier, much shorter version of his Monsieur de Phocas, since the stories are nearly identical. Now that's a book that should not be missed for sure. If you read this anthology with the idea in the back of your head that, as Hale says here, "horror fiction is a vehicle for exploring forbidden themes," then this collection completely adheres and is quite successful. As I said, it's not your run-of-the-mill sort of horror story anthology and while not every story worked for me, it certainly gives an insight into the sort of anxieties that dominated over several decades of nineteenth-century France, and in that sense, it also works well as a coherent collection. I'll also say that I have not been disappointed in any Dedalus publication so far, and this is yet another to hold a special place in my home library. Highly, highly recommended, but beware: reading this book increased my tbr pile as I added works by different authors represented here. Once again, it's October. And once again, that means creepy. Oh yes. I could probably read creep-inspiring, perfect-for-Halloween books all year, but I'm afraid I'd likely become even more unhinged than I already am. October is always set aside for the darker, more delectable reads that (hopefully) satisfy my need for the disturbing, weird, ominous, and hair-raising; then, of course, there's that sinister pulp fiction that I love so much, the stuff that I call the literary equivalent of comfort food.